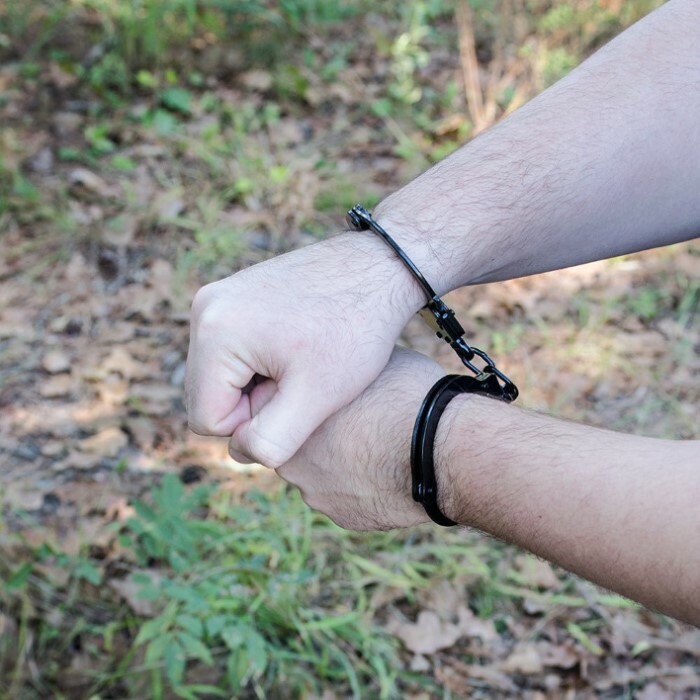 Police Handcuffs - Double Locking - Black Finish | BUDK.com - Knives & Swords At The Lowest Prices! Want some of those "real deal" police-style handcuffs? Then look no further than this deluxe set of double-locking handcuffs. These steel double-lock handcuffs are nickel plated with a black finish. Two deluxe keys are included. They are well made handcuffs, however they are flawed in one way. The key hole is different on each cuff. Therefore having the key hole facing up for easy unlock has the open end of the cuff facing opposite directions..Good for the money, but not legit cuffs. I bought these as a back up set. Construction is pretty good, a little on the thin side but they will get the job done if needed. Double lock mechanism functions perfectly, noticed there is uneven wear occurring on one cuff but I'm not going to complain about that since the price on these were just right for what I will be asking out of them. I would recommend these for light use or back up only, maybe for neighborhood watch. Absolutely FANTASTIC quality. Not a single flaw in the design. These are truly professional grade. They're incredibly strong, and everything fits together like clockwork. Grreeeaaat value. 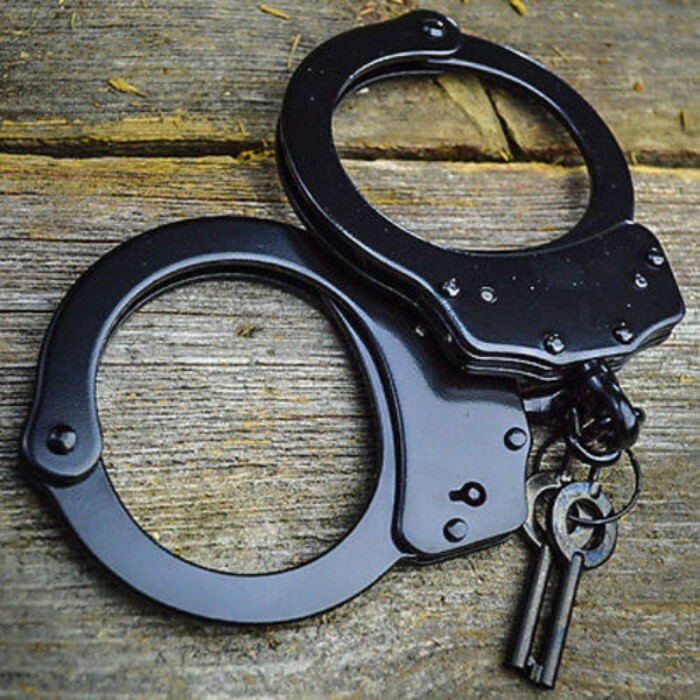 The handcuffs come solid black, just as shown in the picture. Out of the box, they come wrapped in their own separate box, covered in packing paper. Two keys. Tip: the double lock mechanism works like a charm. But the instructions are a bit deceptive. The "pin" as described, is located on the SIDE of the cuff where the cuffs close and lock. It looks like a tiny grey dot, just like what is seen on the face of the cuffs(no function). Use the back of the key and push the piston in and the cuffs will now neither tighten nor loosen without the key. To unlock, first turn the key to the left, then to the right. 5/5 for functionality. All around good buy. I've had these cuffs a very long time. I love them. They are very good quality. I keep them near the gun safe in my room just in case I ever have to detain an intruder. From what i can tell from cycling the latch a few dozen times that these are strong and well built police grade cuffs. Great buy for the price. they would definitely do the job. solid construction. Editor's Note: Thank you for your comments. We have updated the review to reflect the appropriate spelling.